"We didn't have any choice (of wheteher to go with the killing mob or not) Either they'd kill us, or we'd go. They didn't give us a weapon. They gave me only two stones. Which was so weird, because what am I going to do with two stones? ..But in my mind, I knew I was not going to fight, even if they gave me a gun. I don't even know how to shoot a gun.I've seen (the movie) 'Hotel Rwanda,' what happened in Rwanda. And it was exactly that. � People in the street with machetes, killing people from other tribes. It was difficult for me to imagine a country so peaceful got destroyed in a single day. My country, Kenya, really got destroyed in a single day." World Record: Yelena Soboleva 3:58.05 A day after she ran 1:56.49. Plus the women's 4*800 record fell. 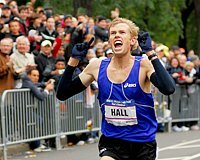 World Record Attempts at 3k/Loaded Men's 1500 Field Highlight Totally Loaded Mid-D and Distance Fields The world's top stars will be in Valencia to race in the same building where world's will be in a month. 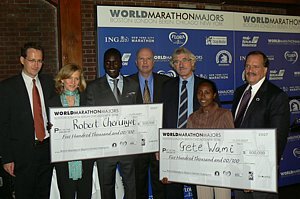 In the men's 3k, Kenenisa Bekele will go after Daniel Komen's 7:24.90 world record (which celebrated it's 10th year anniversary on Feb. 6). The men's 1500 is absolutely loaded as double world champ Rashid Ramzi will compete against last year's junior sensation Asbel Kiprop as well as Ethiopia's Mekonen Gebremedhin (#2 on 2008 list) as well as a strong Spanish contingent. In the men's 800, 4 of the current 6 fastest 800 guys will race including reigning indoor champ Wilfred Bungei. The women's 3k will feature a battle amongst 3 Ethiopians. 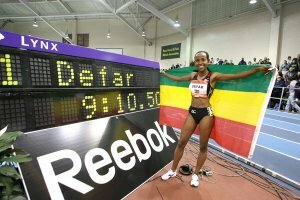 Meselech Melkamu, who just missed beating Defar when she set the world record last year by .02, will square off against world indoor 5k record holder, Tirunesh Dibaba, as well as 2006 world 4k xc champ Gelete Burka who will be running her first indoor race ever. A Slew Of Kenyan And Chinese Athletes Confirm Their Participation In Next Week's Grand Prix In Sydney This meet counts in the point standings for the world athletics final. Sprinters Asafa Powell and Jeremy Wariner will be there as well. High School National Signing Day Was Wednesday Find out who is going where. 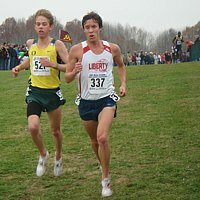 Interview with Michael Ford, Jeremy Wariner's New Coach Nothing on why Wariner switched coaches.